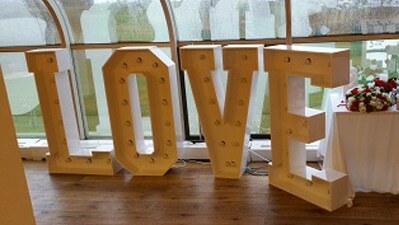 Each letter standing 4ft tall & 3ft wide means that the collection of letters is 12ft long. 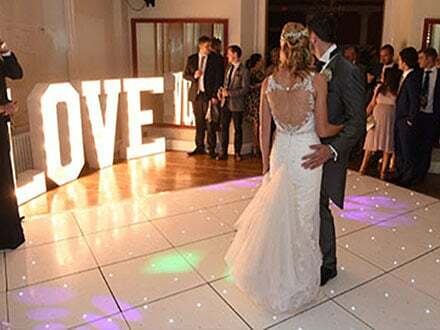 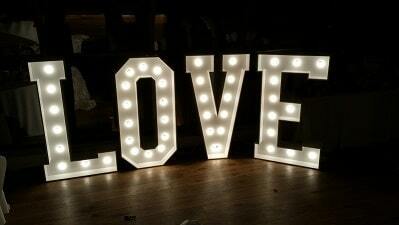 Our Giant Illuminated Love Letters will add that extra wow factor to any Wedding, are a great centerpiece and also look fantastic alongside the dance floor offering some amazing photographic opportunities. 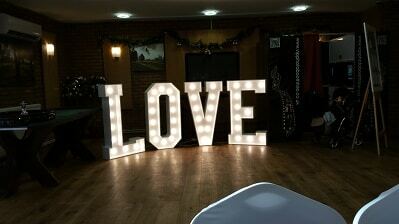 Our Love Letters can be hired on their own or along with our casino and/or photo booth Hire.